My Great great grandfather was Arthur Hemenger, who resided in Algonac, Michigan. He was the son of Amasa Hemenger who was the first doctor in Marine City and St. Clair County. Arthur owned a salvage operation and apparently lived in Bell, Michigan for a while where I think my great grandmother was born. Arthur died during a salvage operation in Copper Harbor. I don't know if he fell in and drowned or if his barge went down with him on it. His body was recovered and he was buried in Algonac. Please help me find more about him and his ancestry. 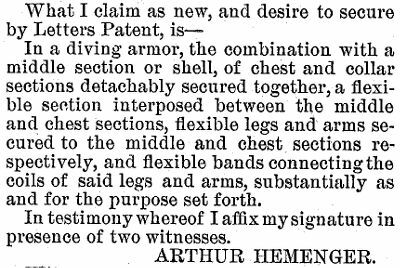 Arthur Hemenger was listed earlier when he obtained a patent in 1890. 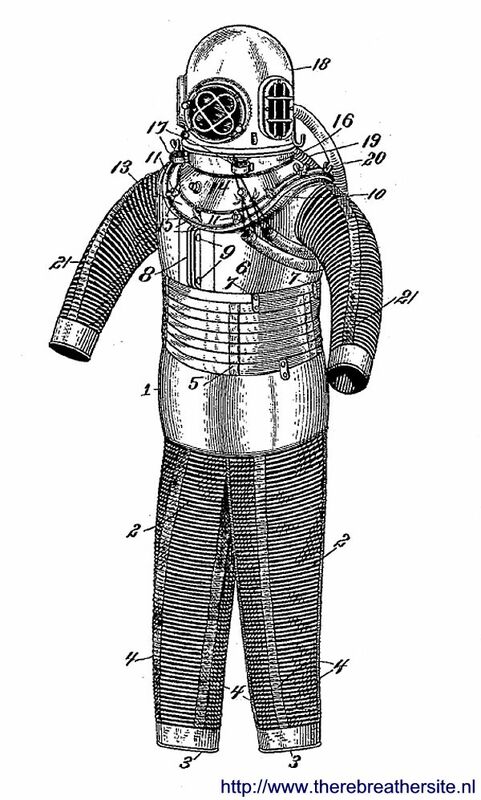 "... (the) yielding arms and legs permit the diver to move his limbs about with more perfect freedom, for the coils will spread on one side and come together on the other when a limb ... is bent. . . ."